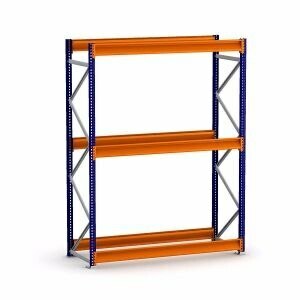 Bulk storage racks are designed for storage areas where goods are handled manually, instead of being transported on a pallet. Our bulk rack shelving is made in America. 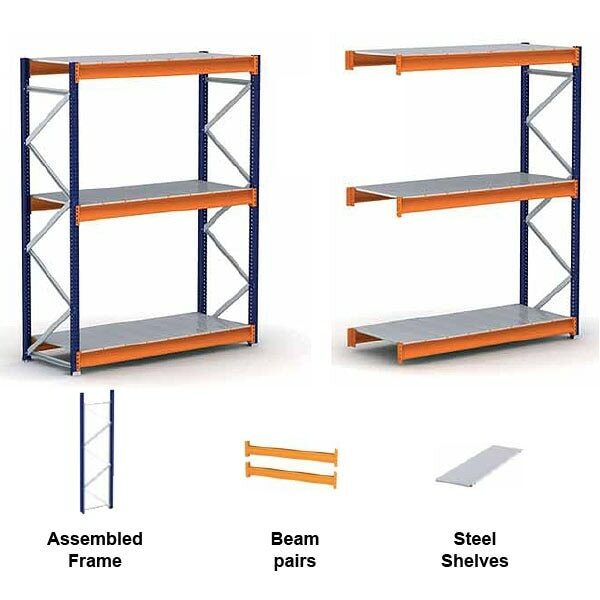 Thanks to the Z-beam bulk rack shelving design, it can accommodate galvanized bulk rack steel shelving panels, with almost twice the load capacity per level compared to standard shelving units. 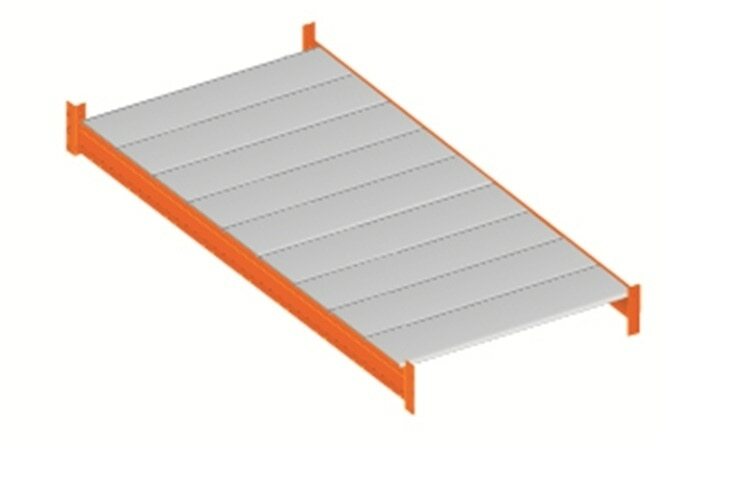 Choose from 14-gauge 2-inch adjustable beams and 16-gauge frames, as well as 22-gauge bulk rack shelving steel decking.